Skyrichbatteries.co.uk is operated by Kirkpace Limited, an independent UK battery distributor. Skyrich Lithium Iron Phosphate (LiFePO₄) batteries are smaller in size than conventional motorcycle batteries, and lighter too, but they pack a whole lot of power for a pocket-sized dynamo. Manufactured with patented technology they offer a direct, small and lightweight, equivalent to traditional lead acid motorcycle batteries. 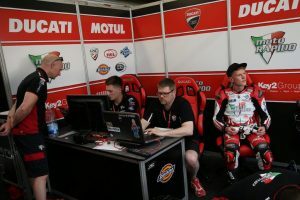 Skyrich Batteries pioneered the use of LiFePO₄ in motorcycles achieving official supplier status for both Ducati and KTM. With extensive testing and certification, you can be assured that when you purchase a Skyrich battery you get a superior quality at an affordable price. Lithium Iron(Ferrous) Phosphate technology is a new developing power source which converts chemical energy to electrical energy. Different from lead acid batteries, each cell has a nominal voltage of 3.2 volts. Inside each cell are positive plates (LiFePO4) and negative plates (Graphite), isolated from each other by PP separators with organic solvents used as electrolyte. These are completely sealed inside an aluminum-plastic pocket while conventional lead acid batteries have liquid acid floating inside a plastic container. When the battery is charging, lithium ion atoms move from positive plates and join with the electrolyte, then pass through the separator and finally reach the negative plates. Discharge is the movement of lithium ion in the opposite direction. Light, Powerful and User Friendly. 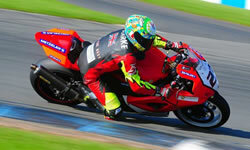 “We have been using Skyrich for three years on the British Superbike Ducati and it has not missed a beat. 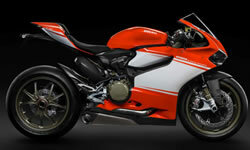 This is reinforced by the fact Ducati are now fitting them on selected Special or limited edition models within their range”. MCN 15th May 2017 : “The MV Agusta British Supersport team has been left in a ‘delicate position’ moving forwards after their race truck was ransacked in its secure storage yard last week”. 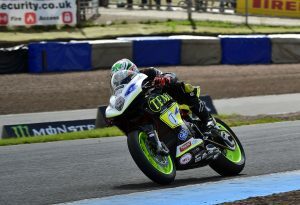 When we heard that a local race team, SPC MV Agusta Racing, had been broken into and much of their equipment stolen we thought we’d lend a hand with a couple of HJTX14H Skyrich lithium batteries and a lithium charger. 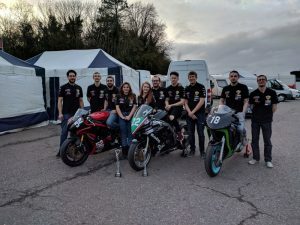 Orthrus Racing are one of the very few student led motorcycle race teams and the only one with student riders competing in Europe. The team started with 7 like minded students from UWTSD, all currently working towards bachelors degrees in motorcycle/automotive engineering. 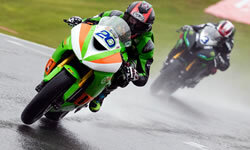 They came together to build, develop and race motorcycles applying the knowledge & skills gained throughout our degree course to the track. Initially 100% student funded, a successful 2016 season with 16 top ten finishes, 7 podiums and 2 race wins, they secured significant sponsorship for the 2017 season, with room for more! They have expanded into a three rider line-up for 2017 with a visit to the Manx GP with their R6 being on the cards for 2018.